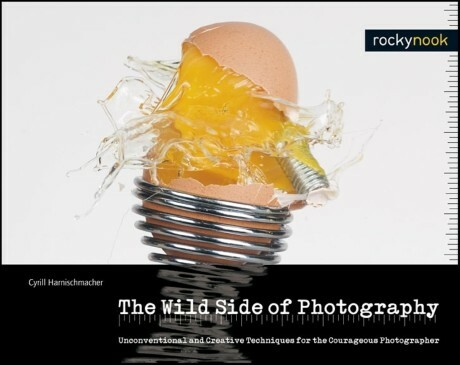 Geared toward the adventurous photographer, The Wild Side of Photography provides a rich source of ideas and inspiration for fun projects ranging from clever to unconventional. Learn to build a shift/tilt lens for your DSLR from an old junkyard 120 film camera, try the camera toss, shoot images from a kite, use a peephole door viewer as a fisheye lens, or build your own pinhole camera. Get ready to capture the perfect aerial shot on your next commercial flight, and to paint beautiful night scenes using a flashlight as a lightbrush. Author/designer, Cyrill Harnischmacher, brought together 20 international authors and their unique projects to produce this intriguing book. Each project is presented with easy to understand instructional text, background info about the author and the project, and beautiful color images to illustrate what can be accomplished and how you can do it too.